Here are 5 free painting apps for Windows 8 available under the different categories such as ‘Entertainment’, ‘Games’, and ‘Photo’, of Windows 8 Store. These Windows 8 painting apps bring you let you explore your imagination and show your creativity on a virtual canvas, without creating mess or buying expensive stationery items. 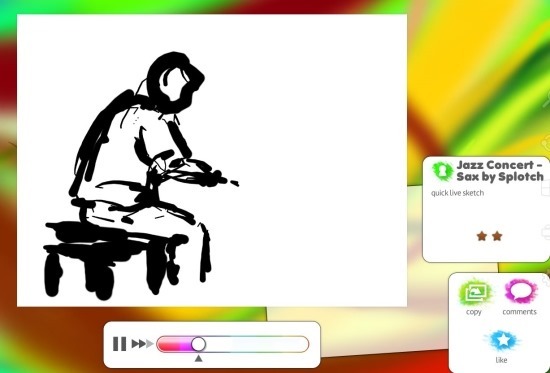 You can use virtual colors, painting brush, pencil, and eraser to create a painting. Be it an adult or a kid, these painting apps help everyone to sketch down their thoughts, their ideas. 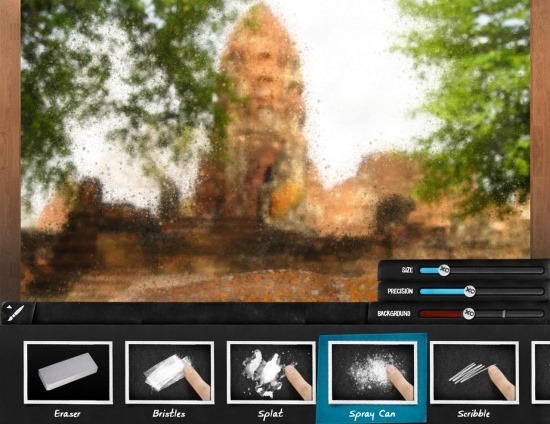 Fresh Paint is a real fun Windows 8 painting app that lets you set your creativity free. This painting app get you real painting experience. Yup.. you can use wet poster colors or dry colors and create a painting on a beautiful white canvas. You can also mix a number of colors to make one, like you do on with your actual painting colors (and mess up everything in your room). The app also brings you pencils and brushes in different sizes along with a full-fledged color palette. You can pick any color and start painting on the white canvas. You can also choose surface for your painting : it can be a canvas, a paper, or a simple background. The interesting part is that you can increase or decrease the size of a brush or a pencil, save and share your painting with others via Email, Twitter, Facebook, etc.. Read more about Fresh Paint or go on the Windows 8 Store and download Fresh Paint now. 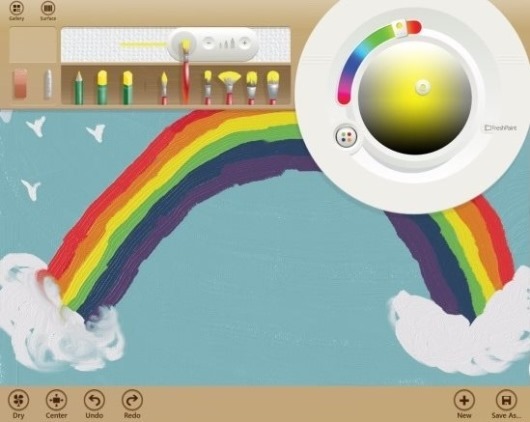 Paint 4 Kids is another popular Windows 8 painting app, designed especially for kids. This painting app brings you a collection of already drawn sketches and you need to select one, fill colors, use options like free drawing, select brush-size, and more. Paint 4 Kids app brings you a real life experience of filling pictures in their color-book. The interesting part about this Windows 8 painting is that it comes up with various options: you can select a plain white drawing sheet and create your own thoughtful sketch, else just pick an animal or vehicle and start coloring. Different type of papers are available to choose from. Once done, you can save you painting and share with others via Email, or other social networking. 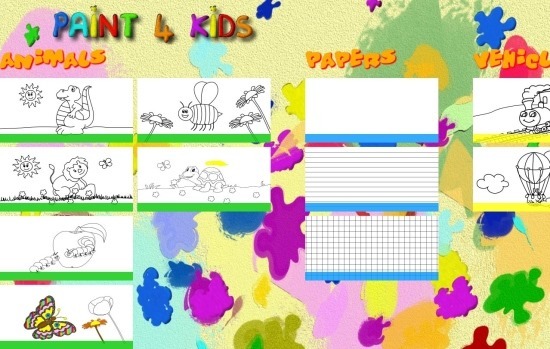 Read more about Paint 4 Kids or simply download it from the Windows 8 Store at zero cost. Yet another Windows 8 painting app, Tweet Paint Metro, lets you do free-style painting. You can upload a photo, or capture one from within the app, and add do funny creativity on that photo. You can write messages, insert emoticons, draw funny faces, and share it with your Facebook friends. This painting app for Windows 8 lets you configure your Facebook account in it. This will allow you to post your paintings to your Facebook wall from within the app. A complete list of beautiful backgrounds is given from where you can import your own pictures, saved in your local machine. An option to erase has also been given. Once done, you can now save share you creativity with others. 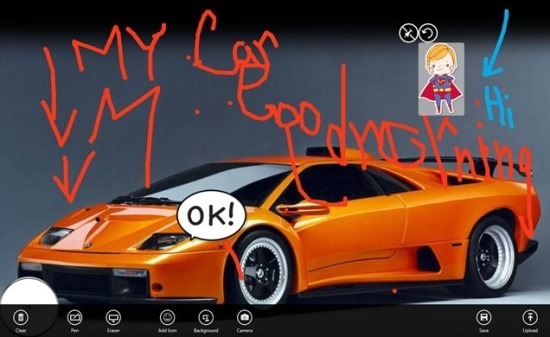 Explore more about Tweet Paint Metro or just get it from the Windows 8 store now. PsykoPaint is delightful real fun Windows 8 painting app that lets you create crazy paintings out of you normal photos. The app transforms your photos completely to real like paintings. The effects available are so beautiful and real that it gives a hand-made painting effect to your normal photo. Effects such as Bristles, Splat, Spray Can, Scribble, Flowers, Lines, and many more are easily available using which can make your photo, a hand-made painting. You can load an image from your local machine, or capture a picture instantly from within the app and start adding effects to it. Once you are done with your painting, you can now save it and share your photo painting with your friends via Facebook, Twitter, or just send through an email. Read more about PsykoPaint or go onto the Windows 8 store and download this painting Windows 8 app now. Ending my short post with this last, but of course not the least Windows 8 painting app. It’s a free-style painting app where you can draw anything you want, using brushes in different sizes. The thing that makes it completely different from other apps is the tutorial of creating a particular painting. Yup.. the app comes up with a collection of beautiful paintings along with the tutorial of making it. You can copy a painting from the gallery to ‘My Paintings’ column, save a painting, share it with your friends via Facebook, Twitter, or just Email it. You can read more about Colors or just download it from the Windows 8 Store at zero cost.